FERRAZ FILHO A, SCOLFORO J RS, MOLA-YUDEGO B. 2014. Coppice with standards silvicultural system applied to Eucalyptus plantations - a review. Journal of Forestry Research 25(2):237-248. Abstract: We review the management of Eucalyptus species under a coppice-with-standards (CWS) silvicultural system. CWS management results in product diversification, permitting production of small and large scale timber from the same stand. Eucalyptus species are suitable candidates for CWS management because: there are large worldwide plantation areas, sprouting capacity is high, and eucalypts are multipurpose species. 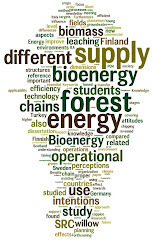 We discuss (1) short rotation Eucalyptus coppice management for energy and pulping and (2) Eucalyptus seedling management for solid wood products. We review the literature and discuss experiences with Eucalyptus managed under the CWS system. We also assess projects dealing with Eucalyptus coppice management, stand density regulation, pruning, and stand and wood quality. The growth environment of the standard trees (heavy competition up to the first harvest, free growth afterwards) coupled with long rotations (>20 years) results in high quality logs for solid wood products. Early pruning should be applied to enhance wood quality. We propose a system for the silvicultural management of Eucalyptus under the CWS system, elaborating on the consequences of initial planting density, site productivity, and standard tree densities as well as timing of basic silvicultural applications.